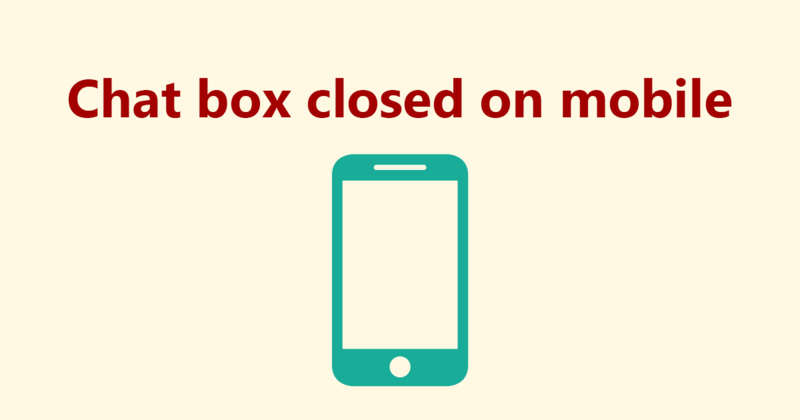 This update comes with a new feature: the ability to always show a closed chat box for mobile visitors. This is useful when the visitor navigates to a different page of your site and the chat is open above the page. 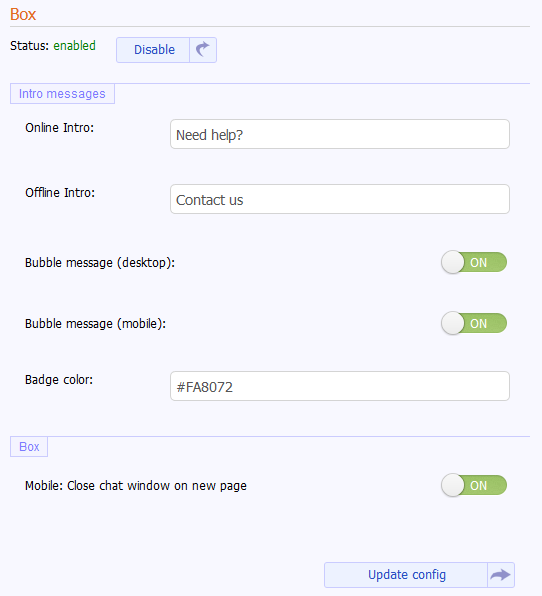 We also fixed the problem with chat widget not working on Internet Explorer and older Android and iPhone devices(iOS 7). This entry was posted in Features, Updates and tagged chat, chat-widget, mobile. Bookmark the permalink.